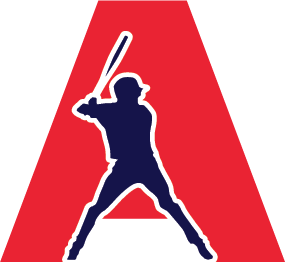 AAYO offers baseball programs for many age brackets by "league age". League age can be determined by using the age chart below. The teams are co-ed and generally have 10-12 player per team. AAYO also offers Travel Baseball Programs (Algonquin Storm) starting at 8U. Please see http://www.aayo.net/storm for additional information. * Coaches will schedule specific practice dates once team is rostered after March 20th. Registration for the Spring Season is normally open in November/December and registration for the Fall Season opens in May/June. Family Discount - $25 off registration on 2nd+ child added during registration process. Instructional baseball is where young players learn, develop and practice basic fundamental skills at an early age. The games are played with a coach throwing soft toss 15 feet from the batters. During the soft toss phase, a Tee is available and will be used after 5 pitches to keep the game active and give developing hitters confidence in making good contact at bat. Teams are constructed to place players on requested teams with friend requests to develop a comfortable environment for the kids to learn. A safety ball is used for player safety. Jr. Mustang baseball is designed for 7-8 year old players who wish to improve basic baseball skills and prepare for Minor League baseball. This level instructional, with emphasis on player development, teaching basic skills and introducing baseball rules. A safety ball is used for player safety. Teams generally practice once or twice a week and play one or two games game a week. Play at this level includes batting in roster rotation, umpiring by coaches, a maximum of seven pitches at bat. Players are placed on teams through a draft. Minors baseball is geared for players ages 9-10 who have basic skills in hitting, catching, and throwing, as well as a basic understanding of the rules. The program has all player pitching and emphasizes the refinement of basic skills. Certified/ patched umpires call the game and enforce the baseball rules. Teams generally practice once or twice a week and play one or two games game a week. Players are placed on teams through a draft. Majors Baseball isa league within the competitive structure of A.A.Y.O. Rules are enforced by an official A.A.Y.O. Umpire. There is a win/loss record kept by the League Coordinator. Playoff brackets are figured at the end of the season. Pitching is player pitch only. Pony Baseball isa league within the competitive structure of A.A.Y.O. Rules are enforced by an official A.A.Y.O. Umpire. Due to the nature of the league and the level of play the umpire is usually certified IHSA. There is a win/loss record kept by the League Coordinator. Playoff brackets are figured at the end of the season. Pitching is player pitch only.